It’s been a while (ten months, in fact) since I wrote about writing. I never intended for the topic to be a regular feature, but that is too long, especially since this second tip is the integral other half of a sentence. Good thing you’re not paying for this. Verbs are the key to powerful prose. My first tip is all about the subject of a sentence. That is, the thing that is performing an action. This tip is all about that action. I see a problem with verb selection even in writing by experienced authors who have accomplished a measure of success. Think of this like a tendency to jump from point A over point B to point C. If point A is the subject of your sentence, point B is the verb. Don’t forget about it. You have to stop and look around a bit. Think of point C as all of your modifiers. You can consider it flowery language. Too many authors who care too much about sounding profound or poetic, or who worry their writing is boring, jump over the verb, and go straight for the modifiers. That’s a big mistake. And hey, I get it. I’ve been guilty of this too. But it’s sometimes easy to spot the inexperienced writers when their sentences are chock full of adjectives and adverbs that are fused together in dependent clauses in support of the most basic of verbs imaginable. Be honest. High-school-you thinks that is some awesome writing. Or maybe you’re in high school now and think that is some sweet, sweet prose. If you think that’s boring, you’re not wrong. But it is a strong subject and verb combination that opens a lot of options for you. “Glided” is much more interesting than “moved” because it implies a manner in which the vampire moves. It also carries with it certain qualities and inflections that, when combined with the subject (in this case, the vampire), your mind immediately constructs an image. Okay, so you have a strong subject and verb. You don’t have to stop here. Once you’ve secured a solid foundation for your sentence, you then can look to make your prose more interesting. Good prose is all about details and word choice. Go back and read the initial vanilla sentence, the one we agreed was boring. Consider what is there, and consider what is suggested. Where are the gaps for the readers imagination to fill in? This is your fundamental charge as an author: You’re not a puppeteer. You’re not a dictator. You’re not a conductor. You’re not an architect. You are a composer. It is the reader who creates the music. Go back to my last example. Read it. Where does your imagination go? Are you in Victorian London? 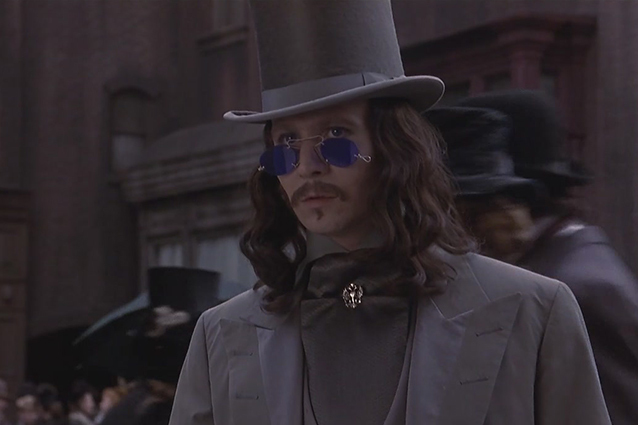 The idea of a vampire immediately conjures images of Gary Oldman in Bram Stoker’s Dracula. The fact that he’s gliding implies a fluidity of movement. With the additions of a cobblestone street and a breeze, perhaps the mist, fog, and cold of a port town after a late fall rainstorm fills in. It could be reinforced by the context of the other sentences in the scene. Perhaps steam rising from a tunnel. Maybe the story goes back further. Maybe a leprous peasant is cowering in a filthy, wet alleyway. Van Helsing wished he had moves like Vladimir. Writing is all about context. Correct the reader when necessary. Do not be overbearing on their imagination. This tip spiraled out of control much like a sentence can spiral out of control if you do not have a strong subject and verb. Always start basic and build. The point I’m trying to make with starting at the fundamental elements of a sentence is that it’s easy to take them for granted, but always always always force yourself to think and begin simple with a strong subject and verb combination because the rest of your sentence will be better for it. You can’t make up for a poor subject choice or weak verb with adjectives and adverbs. Next time, I’ll get to point C, which is where so many writers, new and experienced, go too quickly because it’s fun and seemingly an easy path to “good writing”: modifiers.